Volunteering makes you feel good about yourself and your community. It offers you the opportunity to help others and make new friends. You can give back to the community that has given to you! Do you want to feel needed and appreciated? Do you want to make a difference? Then volunteering at Cabinet Peaks Medical Center may be just what the doctor ordered! Greeters: Have fun greeting and helping people as they enter the front doors of Cabinet Peaks Medical Center. Assist patients and family to their location in the hospital. Chaplains: Take pride in helping with the spiritual needs of our patients. Our chaplains are here to provide comfort and support to our patients and their families. Volunteers at Cabinet Peaks Medical Center may choose from shifts available from 7:00 am to 9:00 pm. On the application form, you will be asked to fill out days and times that you are avaialble. Our volunteer services coordinator will work hard to accommodate your schedule, and the schedule of our other volunteers. 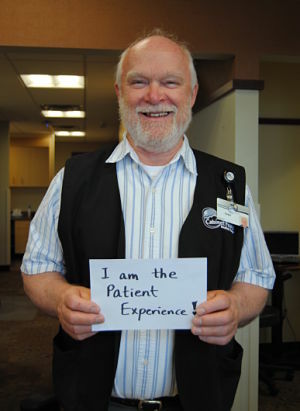 Your placement as a volunteer at Cabinet Peaks Medical Center is dependent upon the acceptance by Volunteer Services and successful completion of the hospital health requirements along with a background check and drug screen. This background check is required by law, and is done for the purpose of protecting patients who are disabled, elderly, or mentally impaired. As part of the application process, you will be asked to sign a Statement of Confidentiality. The statement reads: "I pledge that I will not reveal any medical information or any personal information that I may learn in the course of my volunteer assignments at Cabinet Peaks Medical Center. I understand that failure to comply will result in immediate dismissal from the program." Volunteers at Cabinet Peaks Medical Center must attend a mandatory orientation and volunteer training session, and are not paid for their volunteer services. Volunteers work cooperatively with other team members to assure that services are provided in a friendly and professional manner. Our volunteers function within established guidelines, policies, procedures, and protocols. The ability to exercise initiative, sound judgment, strict confidentiality, and cooperation is essential. We will call you for a personal interview.